Dr. Cornel West is a prominent and provocative democratic intellectual. He has written over 12 books and has taught at several prestigious schools such as Yale, Harvard, Princeton and is now a professor at Columbia University. He has given lectures around the world including France at the University of Paris, and has fought on the front lines in monumental protests such as Occupy Wall Street and Justice for Michael Brown. He is a champion for the poor, working class families, and is a proud freedom fighter for the rights of African-Americans and human beings around the world. The Black Prophetic Tradition in his words is the strong conscious counter-force to the negative tendencies of American culture–greed, big money, and individualism. 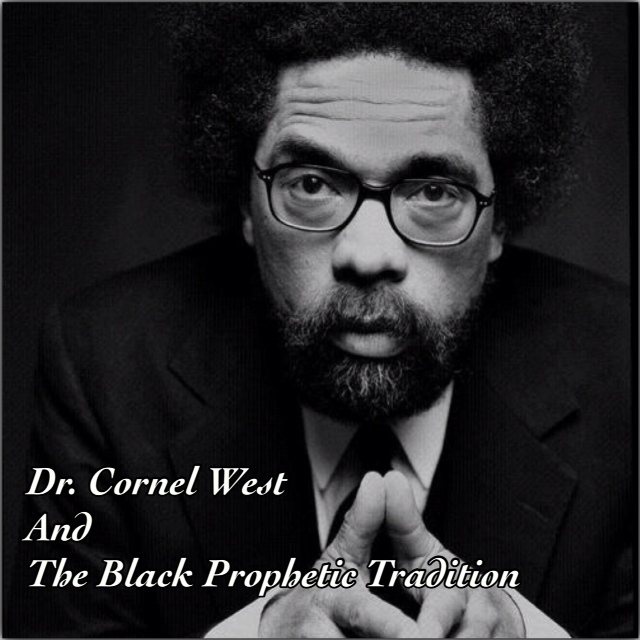 He tells me that without the Black Prophetic Tradition, much of America would be lost. In his book he reminds us that leadership is not being under the lime light (Ella Baker) and importantly how no man is a “self-made man” (Fredrick Douglass) without the help of their fellow-man. When I asked Dr. Cornel West if President Obama was a testament to the Black Prophetic Tradition, on the sacrifices that the six freedom fighters put forth for the civil rights of African-Americans, he says he is just a beneficiary. He goes on to say that President Obama is not (or yet proved to be) part of the Black Prophetic Tradition because he has not closed the gap of racial disparity in America; lowered the high percentage of incarcerated young African-Americans in prisons; reduced the exponential rate of industrialize prisons in America; stopped the surveillance of fellow Americans; stopped the drone attacking of innocent foreigners oversees; stopped bail outs for Wall Street; and stopped the police brutality towards African-American men and women. Thank you again Dr. Cornel West for loving me at a time when I did not love myself.